Floriday.co.uk - Hollywood Drive In Golf: Photo Update - Florida Holidays, Disney, Universal, SeaWorld - The best of Orlando! 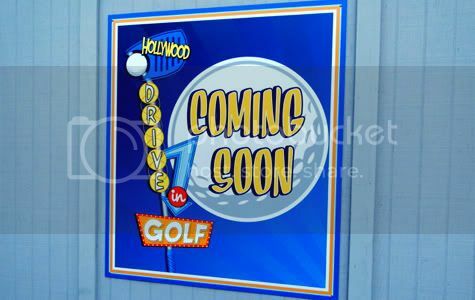 Universal Orlando is moving right along with Hollywood Drive-In Golf, its twin miniature-golf courses under construction at Universal CityWalk. We’re now seeing a lot of signage, big and small, plus a slew of tombstones and little green men. We’re at a point now where folks aren’t saying “What is that?” upon approach. It’s clearly miniature golf. As you can see, work is almost complete on this great new attraction due to open in February. Be sure to check back for more news and updates as they happen!